TIPS AND TRICKS FOR YOUR BODY SHAPE! A lifestyle blog for the everyday mom! With fashion tips, home decor ideas, recipes and DIY crafts! Last weekend my kids were playing at an indoor playground. Right next door is a Goodwill. I told my hubs I was gonna bargain hunt and I would be right back. 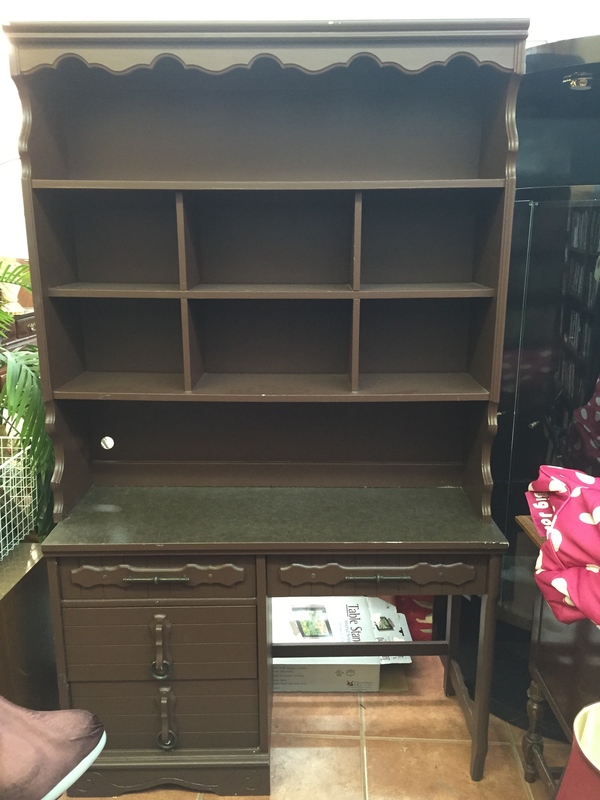 I ended up finding this farmhouse hutch desk that was painted this ugly brown, but I could see the potential. 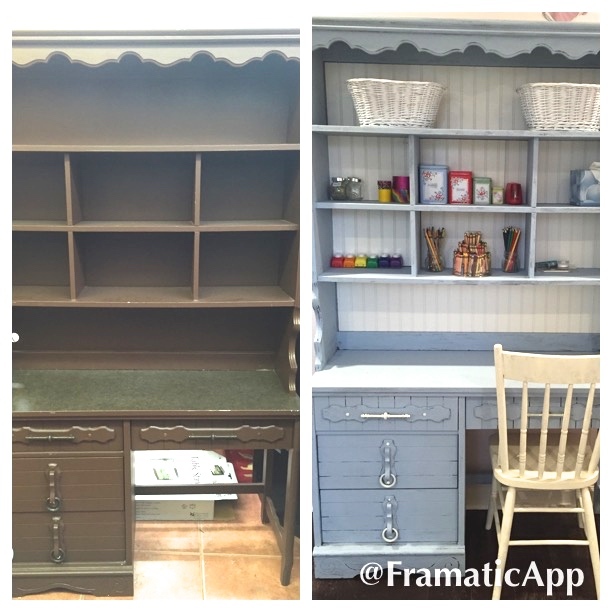 I used the color serene by americana decor chalk paint from the Home Depot and I colored the knobs white. I added this farmhouse chair I found at a flea market for $20-it’s white but in the pic it looks yellow. 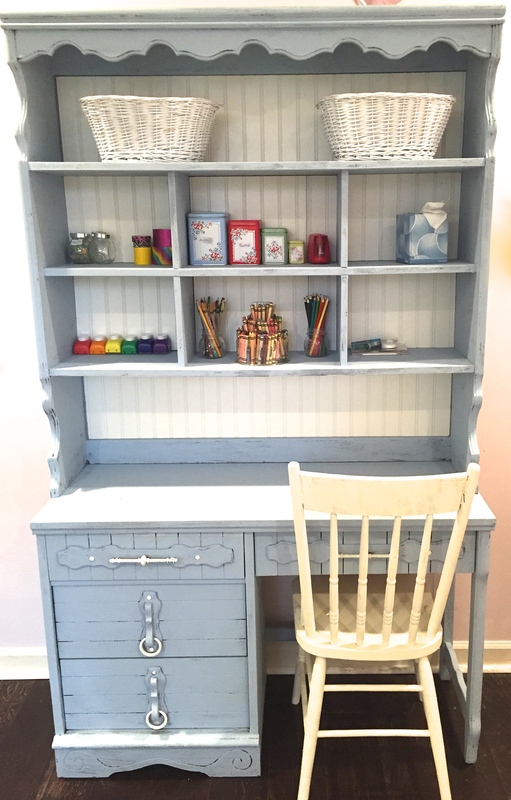 I turned it into a little craft desk for my daughter who is turning into a mini me :)))). All of the furniture in my house is from a flea market or thrift store and I gave the pieces new life-(except sofas and beds). The hunt is super fun and you can be so creative! I’m not done with the hutch desk because I am going to add wainscoting behind the cubbies but here’s my work thus far! BEFORE The brown really hid the great detailing the piece has on the drawers. 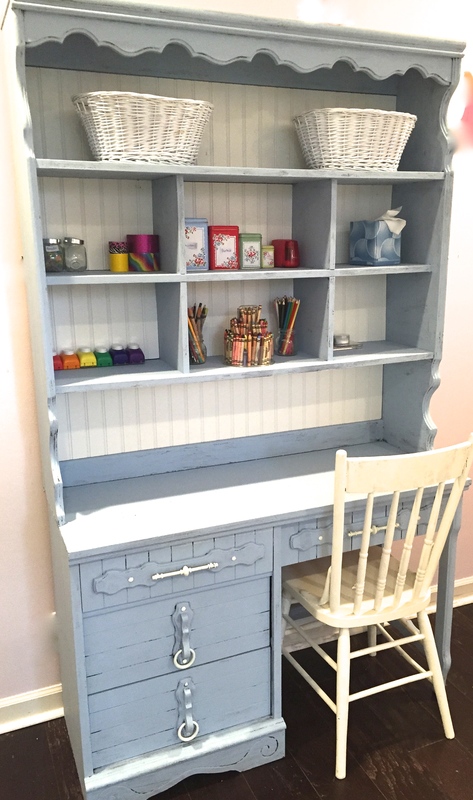 AFTER This pretty blue chalk paint lightens and brightens the piece and shows off the details on the drawers and gives it more of that farmhouse distressed look I was going for.